We’re all playing a game in the arena of marketing and the goal should be to win. What are some of the most fatal mistakes we make? What or who are competing against? What’s the difference between just competing and actually playing to win? On this episode and over the next few episodes, we’ll talk about winning the content marketing game in a crowded market and how the marketing arena has shifted. 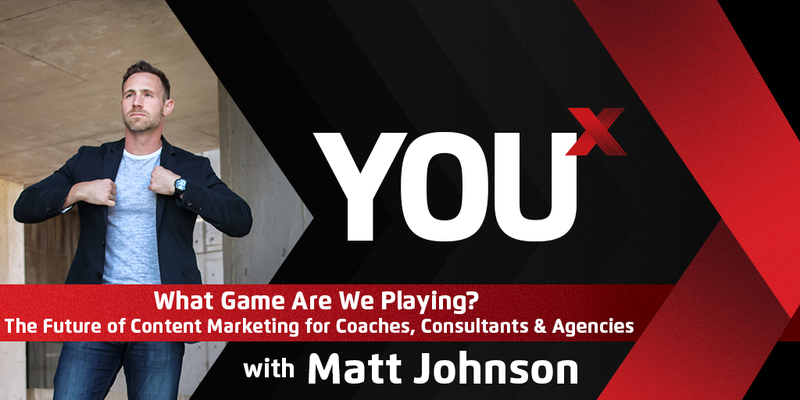 I will also talk about WHO to get help from, whether we should outsource or build that system in house, and the New Media Quadrant that hits the 4 key types of content we should be producing if we are competing to WIN. The key influencers who are winning are doing something different. That means they know or believe something different. All the key influencers we look up to have a New Media Machine. An internal content generation machine that helps them compete to WIN.